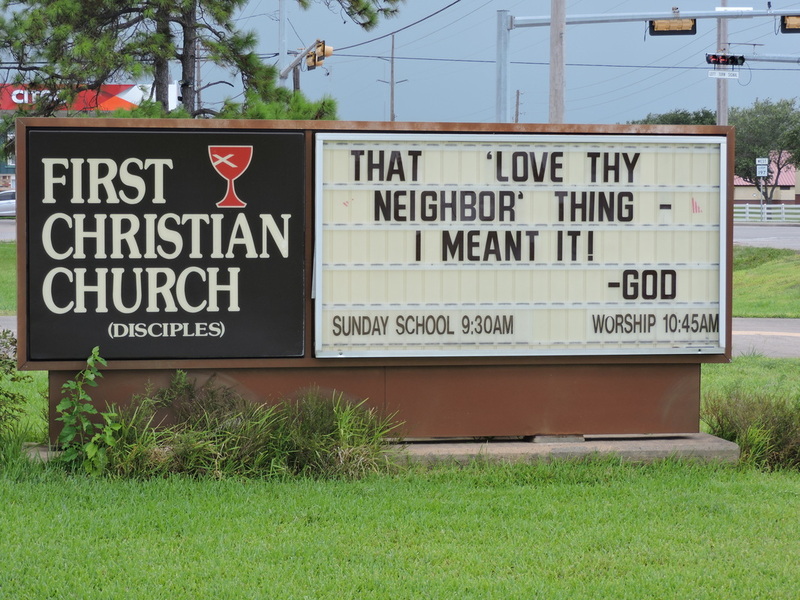 Welcome to First Christian Church of Texas City where All are Welcome...ALWAYS! Founded in 1922, the First Christian Church (Disciples of Christ) of Texas City has been a part of the community for nearly 100 years. We are a congregation of the Christian Church (Disciples of Christ). We are Disciples of Christ, a movement for wholeness in a fragmented world. As part of the one body of Christ, we welcome all to the Lord's table each Sunday, as God has welcomed us. Founded in 1922 and officially chartered in 1944, First Christian Church has played a significant part of history of our city. The church has continued to redefine itself through the decades but always with a strong, faithful congregation of Disciples. The City of Texas City has faced many disasters through the years, both industrial and natural. In 1947, the City of Texas City was heavily damaged and suffered casualties following an industrial explosion of two ships. The Rev. Teegarden, in his first ministry after seminary, was the Senior Minister at the time of the disaster in 1947 and led the community memorial service. The Memorial Cemetery is only 8 blocks from our present location. The city also had to rebuild large areas following some major hurricanes which impacted the church as well. In 1961, Hurricane Carla washed away the original foundation dirt that was being prepared for the current building. In 1984 major damage to the sanctuary was inflicted by Hurricane Alicia, and the entire education wing was badly damaged by Hurricane Ike in 2008. Disciples Volunteering, with support from Week of Compassion and Disciples Home Missions repairs were made and a Mission Station was created to house volunteer groups who came to help with reconstruction work in the community. In 2017, when Hurricane Harvey struck our community, First Christian Church knew that they would be called again to host volunteer groups coming to help with recovery. We have hosted over 20 groups from all over the country who have completed over 10,000 hours of recovery work in Galveston County.